Hear favorite children’s stories read by authors and celebrities for free at Barnes & Noble.com. Each month, Barnes & Noble.com shares a different story read by an author or celebrity during its free Online Storytime. Your child will be able to listen to the story and see the illustrations from the books as the story is being read. It’s a simple way to entertain your child if you just can’t make it to storytime at your local library, and unlike the library, you don’t have to be there at a certain time! 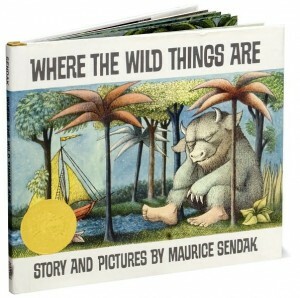 This month’s featured story is Where the Wild Things are by Maurice Sendak. I did search online for where the wild things are free story book online and i got your website .then tried to get the book :This month’s featured story is Where the Wild Things are by Maurice Sendak. clicked on FEATURED STORY.and what happened? i was in middle of nowhere B&N website .i didn’t disappointed and kept searching and searching . At the end what i get is :The Kissing Hand .!!!!! Hi, Bruce – I’m sorry you didn’t find exactly what you were looking for – When I wrote this post back in October 2010, the link went directly to the free online book. Each month, this link will lead you to the current feature story of the month (August happens to be The Kissing Hand). However, if you scroll through the little pictures below the featured story you’ll find the picture for “Where the Wild Things Are” – Click on it and you can listen to the story. Hope that helps… Sorry for any inconvenience I may have caused.